Articles for May 2013 Year » SoftLab-Portable.com - Portable Soft! Prevent system crashes and optimize your Windows registry for peak PC performance with WinZip Registry Optimizer, a two-in-one utility that takes the work out of cleaning, repairing, and organizing your PC's registry. Registry Cleaner helps prevent crashes and system errors by cleaning your Windows registry automatically. Includes a registry cleaner and a registry optimizer in one simple utility. Improves your computer's response time. Prevents system crashes. Drastically improves overall PC performance. Includes automated features and easy-to-use functionality. Perform various burning tasks with AVS Disc Creator. Burn audio, video, images easily. Make ISO images and create boot discs. Burn DVD or Blu-ray discs. 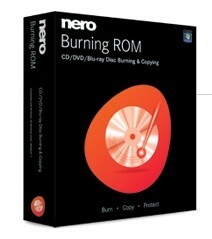 Burn video files available on HDD directly on to a DVD disc. All major media are supported: DVD+/-R, DVD+/-RW, DVD-RAM, Double/Dual Layer DVD, etc. Write your data onto Blu-ray (BD-R, BD-RE) discs. Store your data in the highest quality due to the unique BD data capacity of 25 or 50 GB per disc. Create boot CD/DVD discs. Make a copy of your software to load and run an operating system or utility programs in case of emergency. Create an image of your personal video and save it on PC. Or make an ISO image directly from a disc or HDD. Edit, delete or add new files in ready disc images. Joboshare Video Converter is an easy-to-use, fast and stable video converter tools which designed to meet all your needs of convert between various video and audio file formats such as convert AVI to MPEG, WMV to AVI, WMV to MPEG or H.264/AVC video, convert AVI files to iPod formats, etc. Joboshare Video Converter supports almost all popular video formats, such as AVI, MPEG, WMV, DivX, MP4, H.264/MPEG-4 AVC, RM, MOV, XviD, 3GP, FLV, VOB (the video format used in DVD), DAT (the video format used in VCD, SVCD), and so on. It also supports audio formats including MP2, MP3, WMA, WAV, RA, M4A, AAC, AC3, OGG, etc.